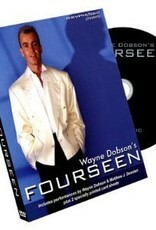 Fourseen is one of Wayne Dobson's most popular routines from his TV and live performances. A spectator is giving a large face-down playing card to hold as the magician explains that it's a prediction of something that is about to happen. Four cards are chosen and then mixed back into the deck. 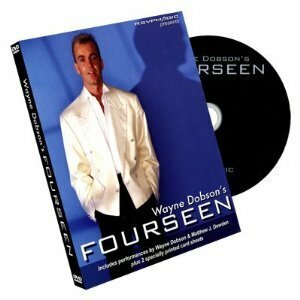 One by one, the magician finds the first three cards in an increasingly impressive way. There's now only the last card to find as the magician asks the spectator to turn over the prediction card. It's not the correct card! The magician opens the card out, showing each of the previously chosen cards. The final playing card is now opened out to reveal the last selected card in gigantic print!